Image: "Tongues as of Fire,"
"The Other Pentecost Text," D. Mark Davis, Left Behind and Loving It, 2016. Gathered and Scattered, Kathryn M. Matthews, Sermon Seeds, UCC, 2016. Process and Faith Lectionary Commentary, Pentecost, Ignacio Castuera, "...bringing process-relational thought to people of faith." "Pentecost in Contexts," D Mark Davis, Left Behind and Loving It, 2013. The Lectionary Lab, Pentecost, the Rev'ds Dr. John Fairless and Delmer Chilton (aka "Two Bubbas and a Bible"), 2013. Lectionary Lab Live podcast. Girardian Reflections on the Lectionary, Pentecost, by Paul Nuechterlein & Friends. Jesus Now, Pentecost. Lectionary, study and worship resources from Faith Futures Jesus Then & Now. "A Spirit of Courage," David Lose, ...in the Meantime, 2016. "Spirit Focus," Karoline Lewis, Dear Working Preacher, 2016. Living by the Word, Gail Ramshaw, The Christian Century, 2016. "Continuing Education," John W. Martens, America: The National Catholic Reporter, 2016. "Words on Fire," Debie Thomas, Journey with Jesus, 2016. "Pentecost without Fire," commentary and discussion, RevGalBlogPals, 2016. "Abiding with the Advocate," Sharron R. Blezard, Stewardship of Life, 2016. "Receive the Holy Spirit," Suzanne Guthrie, At the Edge of the Enclosure, 2016. "The Politics of Language," Amy Allen, Political Theology Today, 2016. "Peace Out, Time for Work," Emily S. Kahm, Modern Metanoia, 2016. "Pentecost and the Legacy of Prince," Shively Smith, ON Scripture, 2016. "About the Fire," Lynn Miller, celebrating our creative and living God by generating art and architecture resources for congregations and individuals. Art and Faith Matters facebook page contains additional resources. "Spirit," Eric Smith, LECTIO, 2016. "Come Holy Spirit," David F. Sellery, 2016. "The Best Things in Life Are Invisible," Robert Warren, Prospect, 2016. "In the last days," Peter Lockhart, a different heresy, 2016. "What Wishes Pentecost to Be?" Anna Macdonald Dobbs, Ekklesia Project, 2016. "The Spirit Unloosed," Glenn Monson, Law & Gospel Everywhere, 2016. "A New Wind Blows," Jerry Carpenter, Weimar Wanderings, 2016. "Indoors/outdoors," Melissa Bane Sevier, Contemplative Viewfinder, 2016. "The Spirit of Truth is in You," Robert Cornwall, Ponderings on a Faith Journey, 2016. "Praying for Another Pentecost," Janet H. Hunt, Dancing with the Word, 2016. "Fire Baptism," Nancy Rockwell, The Bite in the Apple, 2016. The Preacher's Study, Mark W. Stamm, The Associated Parishes for Liturgy and Mission, 2016. "Breath," Journal to Penuel, 2016. "Pentecost's Aural Lessons," Larry Patten, 2016. "Suddenly There Came a Sound," Andrew King, A Poetic Kind of Place, 2016. "Grace in Croatia," poetry by Scott Barton, 2016. "When Will Your Next Pentecost Be?" David Lose, Working Preacher, 2013. 2010. "Nickolet's Sermon Writing for Pentecost," sermon discussion from Frederick Buechner, Frederick Buechner Blog. "Back from the Dead," Pentecost, guest essay by Edwina Gateley. Daniel B. Clendenin, The Journey with Jesus: Notes to Myself, Journey with Jesus Foundation, 2013. 2010 guest essay by Kathryn Greene-McCreight. An Intimate Pentecost, Alyce McKenzie, Edgy Exegesis, 2013. "New Church," Anne Howard, A Word in Time, Beatitudes Society, 2013. Welcome to the Family, Robert Cornwall, Ponderings on a Faith Journey, 2013. "The Divine Protest of Pentecost," David R. Henson, Edges of Faith, 2013. "After All the Jelly Beans Are Gone...Comes Pentecost," "Pentecost for the Rest of Us," Jack Levison, spiritchatter, 2013. "Kindle," Sharron Blezard, Stewardship of Life, 2013. "God Stuck Her Tongue Out," Michael Coffey, 2013. Reflection on Pentecost, Year C. Rick Morley. 2012 Reflection. "Where in the World," Jim McCoy, The Ekklesia Project, 2013. "Pentecost Isn't About the Pyrotechnics," John C. Holbert, 2013. Pentecost and the Boldness in the Holy Spirit, Phil Fox Rose, On the Way, 2013. A Splash of Red, Katie Munnik, Presbyterian Record, 2013. Pentecost Happened, Caryn Riswold, feminismxianity, 2013. Oh How the Holy Spirit Still Moves, Dr. Janet H. Hunt, Dancing with the Word, 2013.
Who Was There and Why Do You Care? Bruce Maples, 2013. "Bearing Witness," Rick Fry, 2013. "What Does This Mean?" Christopher Burkett, PreacherRhetorica, 2013. "Learning about the Holy Spirit from Mrs. Szymanski," Robert Stuhlmann, Stories from a Priestly Life, 2013. "We Are Meant to Be One," Steve Goodier, Life Support Systems, 2013. "The Spirit of Truth," Thomas Beam, 2013. How the Holy Spirit Moves Today...in 100 Words or Less, A Spirit-Centered Progressive (Bruce Epperly), The Word, Holy Spirit: Closer to Us Than Our Own Breathing, Sam Hamilton-Poor, Pentecost Meditation: "The Inside Story," Alyce McKenzie, "Holy Spirit: Lust, Life and Love," Jason Derr, Patheos. "Messy Church," Jo Bailey Wells, Faith and Leadership, 2010. "Listen for the whisper of the wind," Peter Woods, I Am Listening, 2010. "Presence," Melissa Bane Sevier, Contemplative Viewfinder, 2010. "Beyond Babel: Pentecost Sunday," The Journey with Jesus: Notes to Myself, Daniel B. Clendenin, Journey with Jesus Foundation, 2007. Dylan's Lectionary Blog, Easter 7, 2007. Biblical Scholar Sarah Dylan Breuer looks at readings for the coming Sunday in the lectionary of the Episcopal Church. "Our Own Native Tongue," Luke Powery, Faith and Leadership, 2016. "It Gets Better," by Rev. Rachel May. A Sermon for Every Sunday: Video Sermons by America's best preachers for every Sunday of the Liturgical Year. "Open Wide the Doors!" Alan Sherouse, Day 1, 2016. "We've Got Spirit, Yes We Do!" the Rev. Dr. Hal Brady, Day 1, 2013. "'Nothing But' Misses the Point" the Rev. Canon Frank S. Logue, Sermons that Work, Episcopal Digital Network, 2013. Día de Pentecostés (C), por el Rvdo. Gonzalo Antonio Rendon-Ospina, Sermones que Iluminan, 2013. "Golden Age?" the Rev. Canon Charles K. Robertson, Day1, 2010. Pentecost Sermons, Pastor Edward F. Markquart, Grace Lutheran Church, Seattle, Washington. "This Is It!" the Rev. Dr. Emmanuel McCall, Day 1, 2007. "Gathered and Scattered," Weekly Seeds, UCC, 2016. "How Important Is Belief?" Faith Element, 2016. Podcast. "Come, Spirit, Come," Faith Element, 2013. Bible Study, Pentecost, 2013, Daniel Stroud, Virginia Theological School, Sermons that Work, Episcopal Digital Network. Mustard Seeds, "Contagious Christianity/Inspired by the Spirit," Pentecost, 2016. A lectionary-based ideas resource for leaders of contemporary worship, Ann Scull, Gippsland, Australia. Godspace Resources, Christine Sine, 2016. Free Pentecost Resources, Pittsburgh Theological Seminary, 2016. Worship Resources, Pentecost, Rev. Mindi, Rev-o-lution, 2016. LCA Worship Planning Page, Pentecost, "Everything lay-readers need to prepare worship." Lectionary Liturgies, Pentecost, Thom M. Shuman, Presbyterian Church (U.S.A.). Service Suggestions, Day of Pentecost, Rev. Bosco Peters, New Zealand. Order of Holy Communion for Pentecost: a service celebrating the life in the Spirit which moves among us, Worship Resources by Lisa Frenz, Mt. Carmel Lutheran Church, Portland, OR. Worship and Liturgy Resources, Pentecost, by Rev David Beswick, Uniting Church in Australia. Liturgy for the Day of Pentecost, and The Vigil of Pentecost, Rev. Thomas L. Weitzel, Evangelical Lutheran Church in America. Lector's Notes, Pentecost, Gregory Warnusz, Saint Jerome Parish, Bellefontaine Neighbors, MO. Notes and commentary for those reading this week's lectionary texts to the congregation..
"Hoping and Dreaming with Creation," rtf or pdf file of liturgy at Worship Ways. The Timeless Psalms: 104:24-34, 35b, Joan Stott, prayers and meditations based on lectionary Psalms, 2016. HermanoLeón Clipart, Pentecost. Free clipart, backgrounds, slides, etc. Clip Art, Pentecost, Fr. Richard Lonsdale, Resources for Catholic Educators. Clip Art Images: Pentecost, Misioneros Del Sagrado Corazón en el Perú. Pentecost, Philip Asks to See the Father, audio telling, story in episodes, graphic, audio and written commentaries. Go Tell Communications, Biblical Storytelling for the Global Village, 2010. Season of Pentecost Slideshow from HopeandHealing.org. Free use. It's Pentecost, video at WorkingPreacher.org . Look at right side of this linked home page for links. "Following the Spirit," faithelement, various mulitimedia approaches to this week's scripture texts. "Balloon Racer," video, John Stevens, Dollar Store Children's Sermons, 2013. Pentecost Foreigners, youtube, David M. Coleman, 2013. "Your Love in Every Tongue," "His Spirit Dwells in Me," Brenton Prigge, NewHymn. Hymns of the Spirit Three, Pentecost C, Richard E. Hurst, Universalist National Memorial Church. Hymn and Song Suggestions, Pentecost, 2016, annotated suggestions from Natalie Sims, Singing from the Lectionary. Worship Resource Manual, The Moravian Church, Southern Province. Worksheets for planning music in worship: hymns, anthems, solos, organ repertoire suggestions for RCL texts. Direct link to Day of Pentecost. The Billabong, Pentecost, by Rev Jeff Shrowder, Uniting Church in Australia: Hymn suggestions and paraphrases of lectionary Psalms. Choral Anthem Project: Vigil of Pentecost, Pentecost C, National Association of Pastoral Musicians. 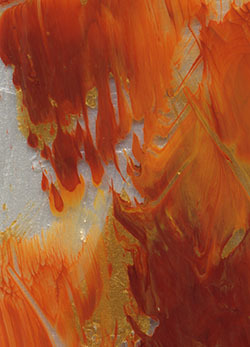 Sing for Joy, Pentecost, 2007. Choral reflections on this week's lectionary readings, St. Olaf College. Together to Celebrate, Pentecost, 2016, David MacGregor, Uniting Church in Australia. Contemporary Christian Music resources. Worshiping with Children, Pentecost C, Including children in the congregation's worship, using the Revised Common Lectionary, Carolyn C. Brown, 2016. "Light the Fire," Faith Formation Journeys, 2016. Reflectionary , Fay Rowland, graphics and children's ideas, 2016. "Happy Birthday!" On the Chancel Steps, children's resources by Frances Woodruff, 2013. Weekly Devotion, Faith Formation Journeys, 2016. Lectionary Puzzles, Pentecost. Word search puzzles in RTF or plain text, by Reg McMillan, St.Stephen's Presbyterian Church, Peterborough, Ontario.